Every company has different risks, and so every company expects something different from their senior engineers. 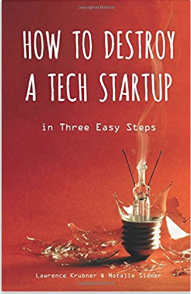 An engineer who has spent the last five years making small, continuous improvements to the processes in a larger company may not enjoy or even understand the sort of role expected by a three person startup. The expectation that “senior” is a fungible title is both widespread and harmful, leading to unrealistic expectations from both engineers and companies. Through trial and error, engineers can identify the sorts of problems they enjoy solving. A senior engineer should find a company which both has those problems, and knows it. Anything else will lead to frustration, and eventually apathy. Likewise, companies should try to communicate their risks, early and often. If we were to judge by what’s asked in interviews, most companies believe their only risks are technical, but that’s absurd. The interviewers know the real problems facing the company, but the polite fiction is that they’re only temporary, and soon everyone will be able to focus entirely on the algorithms, which are what really matter. Since most companies tell the same story, candidates have to read between the lines to see if there’s a good fit. Honesty would make things much simpler.